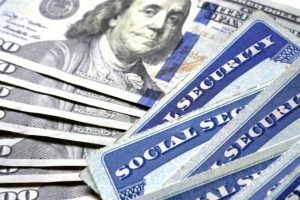 Unfortunately, a concerted effort is underway in Congress to defund Title II (SSDI) and Title XVI (SSI) of the Social Security Act. We, as citizens, must let our elected representatives know that we will not stand idle and allow them to gut the one social program that serves as a social safety net for all Americans. Like most of you, I have paid my hard earned money in Social Security taxes my entire working life. Our disability or retirement benefits do not constitute “entitlements”! We worked for them and we have paid for them. It is not our fault that we have a dysfunctional government that continuously borrows money against the Social Security Trust Fund in order to cover other budgetary shortfalls they deem more important than the people’s welfare. PreviousPrevious post:Reflex Sympathetic Dystrophy (RSD) aka Chronic Regional Pain Syndrome (CRPS)NextNext post:My doctor says I am disabled!